Online Home School can mean different things to different families and each family chooses this option for their own unique reasons. If you are thinking of homeschooling online review these questions before choosing one of the online homeschool options. As I have only used a few homeschooling online options, I do not feel that I can recommend any courses in particular and I do not endorse any of the programs based on my lack of experience in this area. Please, ensure you investigate the options very carefully before you enter into agreements with any of them. Full Year Program; Teacher led course by video conferencing or live chats. Students can actively take part in the lesson, either by email or real time chat. Virtual Classroom - Specific Courses only; A teacher led course by video with interaction - but not a full year program. You can choose the courses. Calvert Virtual Academy - Available for Years 6-8; In the Calvert Virtual Academy online classroom your child can watch pre-recorded instructional videos when it is convenient for your family. They can also interact with their Homeroom Teacher and Course Instructors via assignments, assessments, projects, threaded discussions, videos and club information. Calvert offers three different live clubs for students to choose from: Photography Club, Math Club, and Creative Thinkers’ Club. Your student will love the live interaction with his or her peers through the optional Calvert Clubs. Each of these is meant to enhance your student’s academics, foster creativity, add enjoyment and provide peer interaction. Apologia Academy Online Virtual Classrooms - Apologia Academy's unique virtual classrooms effectively unite the benefits of teacher-led, real-time instruction with the advantages of highly convenient and multimedia-rich Internet delivery. Apologia Academy gives you the choice of live classes delivered to your computer, or recorded sessions, which can be listened to at your convenience. All this is accomplished at home in the context of family. In the live classes, students may ask questions in real-time while interacting with the teacher and other students. Combined with the best creation-based science, Bible, apologetics, and Christian worldview curriculum in the industry, Apologia Academy's online virtual class environment will provide your student with an unparalleled overall learning experience. Memoria Press Online Classical Academy - designed primarily for online home school families interested in a classical Christian liberal arts education. Courses include: Latin, Logic, Rhetoric, Classical Christian Studies, English Studies, Math and Science Studies, Government & Economic Studies, College Prep Courses. In most cases a "class" is an audio/visual classroom where the teacher and 15-20 students meet in a real time environment in which the instructor converses directly with students. The student will be able to see the teacher and hear the voice of the instructor, students respond using a text chat, and can be called on by the instructor to respond orally. The Potter's School offers two approaches—customized and classical—to support home education in biblical excellence. As we have for over a decade, for those families who want to build their own customized curriculum or supplement another program, we continue to offer a complete list of individual courses that cover all the core and elective needs for junior and senior high. Families can take these courses a la carte in any combinations they prefer, to meet the individual needs of each student. The other approach we offer is a classical program, where the curriculum is more integrated to combine interdisciplinary courses designed specifically for the TPS classical track with other TPS courses to form a complete rigorous classical program. And for those who want some integration within an overall a la carte customized approach, we even offer an integrated Western Civilization and Worldviews program within the customized a la carte environment. All three options are discussed on their website. Classes meet for 90 minutes each week. The conference interface, which loads into the web browser, includes audio, chat, whiteboard, slide show presentations (with live annotation markup), synchronized web page tours (with live annotation markup), and whiteboard. Escondido Tutorial Services - Great Books, Classical Writing, Latin, Greek, Shakespeare, Rhetoric and more - online classes taught in real-time. Liberty Online Academy - Liberty Academy provides traditional learning which is flexible and customized to each student's needs because classes are offered online. Liberty helps students develop spiritual strength in addition to academic knowledge with certified teachers to help them throughout the process. NorthStar Academy - Christian Online School custom tailored for homeschoolers. Enrol as part time or full time in the distance education programs. The Keystone School - Enrol full-time and earn an accredited online high school diploma, or part-time to supplement a traditional school or home school curriculum. Keystone's curriculum is interactive and engaging, using an independent, learner-centered model. Online home school courses are offered across all Keystone programs while correspondence courses are available in the high school and credit recovery programs. Excel High School - regionally accredited, State Department of Education recognized high school serving students in all 50 US states; A great way to earn a online accredited high school diploma. Northgate Academy is an accredited online high school that serves homeschool families in need of a high quality, Christian online high school program. K12 offers virtual public schools in various states in the US. It offers a mix between traditional texts and online learning. It uses a variety of different approaches, from hard copy texts, to videos, to online games. Ablaze Academy - -no books, accredited classes from Year 1-12, delivered via the computer. Regina Coeli Online Academy - Catholic, Traditional Liberal arts college prep program. Text and online, with optional live online participation. CompuHigh- offers two diploma programs for high school students and also individual courses. All course material is online. Accredited. E-Tutor - From their website, "e-Tutor was specifically designed to provide quality distance learning opportunities for K-12 students anywhere in the world. e-Tutor Virtual Learning offers a proven alternative to the traditional model of a teacher in a classroom with students. e-Tutor brings that high quality learning experience to the online world, combining superior tutors, engaging content, a fully customized online learning environment and a high level of service to support student success." Connections Academy - Public school online in the US; From their website, "Although Connections Academy and homeschooling have some similar attributes, Connections Academy is not homeschooling. All Connections Academy schools are public school programs. Connections Academy schools provide a defined set of curriculum materials that have been specifically aligned to local standards and use certified teachers to evaluate student performance, including decisions concerning the child's grade level promotion. All Connections Academy students are required to take state standardized tests and the schools are accountable for the students' performance to regulatory authorities." 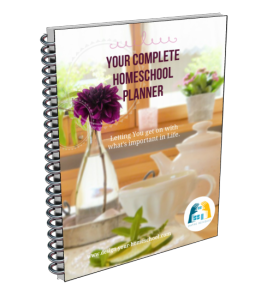 Some Complete Curriculum (which are listed on the Homeschool Reviews page) are used or have been developed into online courses. Alpha Omega Online Home school Curriculum Complete Sets - Monarch is a new, interactive, Internet-based Christian homeschool curriculum for grades 3-12 that's compatible with any web browser. There is no installation or CD, but all internet based learning. There is automatic grading, updates, and individualization is possible. Bob Jones Press - Christian Distance Learning Solutions on your hard drive, with CD installations, or online. Personally, I like this method - of taking the courses which suit your family, their needs and interests, rather than stepping into a full online home school curriculum. E-Science Course - Online Science Experiments from Supercharged Science. Entrepreneur Courses - such as Sitesell - courses teach entrepreneurial skills and strategies and how to create your own job and profitable business. ALEKS (Assessment and LEarning in Knowledge Spaces) Mathematics Instruction for grades 3-12. Time4Learning - a convenient, online homeschool curriculum that combines education with interactive fun. Animated lessons, interactive activities, printable worksheets and detailed reporting. Smart Tutor - great math and reading program. Skwirk - online interactive program for children from K to Year 10 developed on the Australian syllabus. See a review of Skwirk on my site. Renzulli - We view student engagement as the key to raising achievement. Our goal is to challenge all young people to stretch above their current comfort and ability level. BrainPOP - BrainPOP creates animated, curriculum-based content that supports educators and engages students. Our resources include movies, quizzes, experiments, timelines, activity pages, and much more covering hundreds of topics within Math, Science, Social Studies, English, Technology, Arts & Music, and Health. Ambleside online - a free homeschool curriculum designed to be as close as possible to the curriculum that Charlotte Mason used in her own private and correspondence schools. More information about Ambleside on my site. Old fashioned education -a directory of free homeschool curricula, literature and text books organized for the use of homeschooling families. 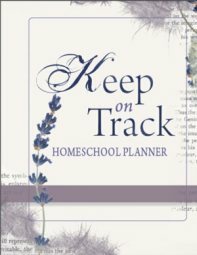 Easy Peasy Homeschool - A complete free Christian homeschooling curriculum - an amazing resource all set out week by week. Year levels are being added all the time. Open Education Source - another amazing site! This site brings you teh best free educational resources available for educators, home schooling families and others who want to supplement education. 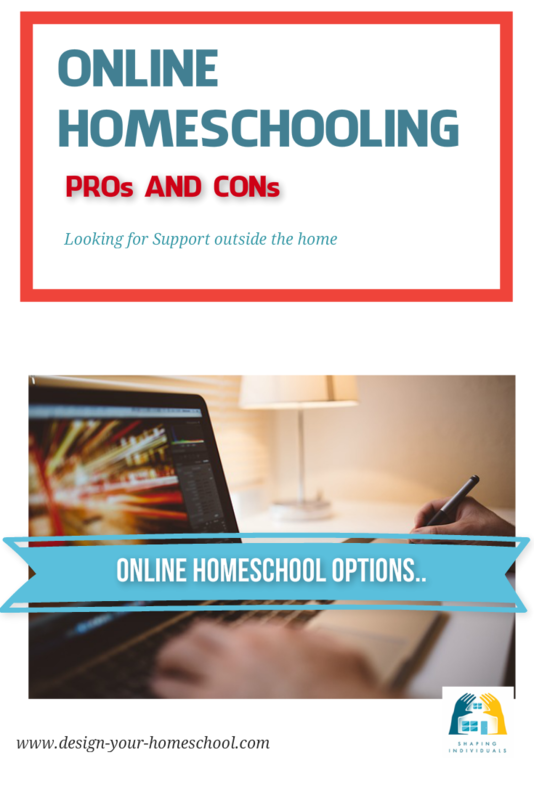 Reasons to use online homeschooling programs and questions to ask before you choose one of the online curriculum options.